Sometimes it’s pretty cool to see the old timers getting their due. 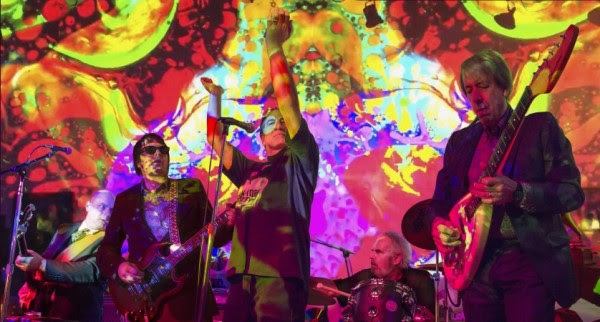 Over the years, a lot of the legends of ’60s garage rock who didn’t quite get the same level of recognition back in the day as some of their more famous peers have made a comeback after a lengthy hiatus. Bands like The Sonics and The Sloths come to mind as just a couple of the acts who’ve shown in recent years just how good a bunch of old guys playing garage rock can be. And now California garage/psych/proto-punk legends The Chocolate Watchband are back again with a new album, This Is My Voice. It’s a solid album, featuring new compositions by the band, many of them politically charged, alongside covers of Bob Dylan, The Mothers Of Invention, The Music Machine, and The Seeds. Lead single “Secret Rendezvous” starts the album off strong, packing a real punch to get things going. Check it out. This Is My Voice is out February 22 on Dirty Water Records.